August is Long Beach’s hottest month and a frozen treat can be the sweet antidote to make high temperatures almost bearable. Choosing to indulge in rich, creamy handmade gelato or to nourish your body with a nutrient-rich fruit-filled smoothie are sure ways to create a quintessential summer moment. Like steaming hot chocolate in the cold of winter, the contrast of a chilly concoction in the heat of the summer sun is good for the soul. It was recently revealed that Long Beachers consume the largest quantity of ice cream in the nation, so it is fitting that Long Beach offers a variety of places to get these and other sweet frozen creations. Titi’s is under new family ownership but has maintained the unique graffiti-like cartoon aesthetic and childlike-sweet wonderland ambiance. Their coconut shave ice is more like an ultra-rich milkshake served in a cup with a drizzling of condensed milk and a scoop of vanilla ice cream. Drinking it with a thick straw, plentiful flakes of sweetened coconut add a flavorful surprise, since shave ice is traditionally sweetened with thin syrups. It tastes like one of those Coco Helados Mexicos bars sold by paleta vendors and gas stations across SoCal. This is not for those who prefer understated flavors as coconut, dense ice cream and condensed milk are beyond rich individually, creating a trifecta of silky overabundance when combined. Titi’s is located at 718 Orange Ave.
Shining under the shadow of the still-thriving frozen yogurt trend, Long Beachers stand in lines to get their serving of Paradis ice cream on Second Street. They are a 42-store chain with only two locations in the USA–the rest are dispersed around Denmark. The strawberry ice cream has chunks of flavorful strawberries, putting store-bought versions to shame. 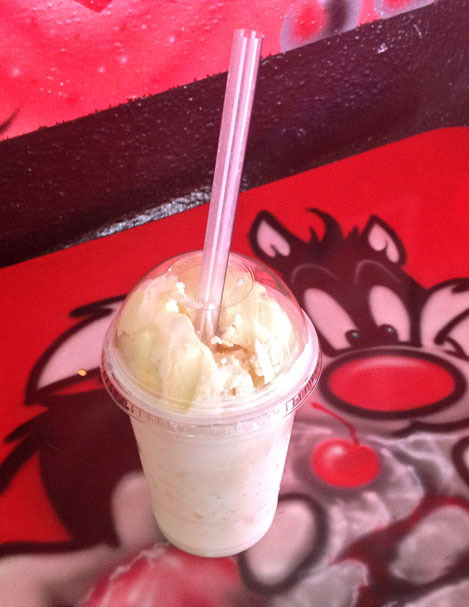 Paradis makes its ice cream daily on site and uses fresh ingredients without additives. For them it’s a bit of a science with around 20% of air used in its production to create a creamier, less-hard ice cream. Standout flavors include coffee chocolate chip and blueberry and the workers are very liberal with giving out samples (everyone loves free samples! ), so trying a bit of many in order to find your favorite is a breeze. Vegan options are available as well. Paradis is located at 5305 E 2nd St.
Brewing an assortment of teas including oolong, chamomile, lavender and jasmine, this café and restaurant is popular with tea enthusiasts across Long Beach. A non-tea item that has increased in popularity during the summer months is their mango smoothie with added boba. 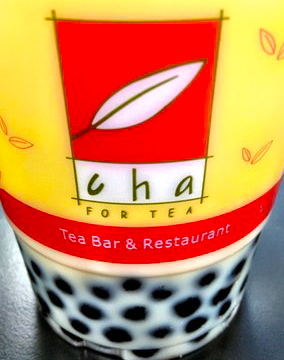 The mango flavor is refreshing and dairy-free, which couples perfectly with their well-textured boba balls. Boba are chewy tapioca balls made from sweet potatoes that are sucked up from jumbo straws that sink at the bottom of a variety of drinks. The drinks are commonly called bubble teas and come in interesting flavors and sizes including a popping boba, which ‘pops’ juice into your mouth. They are a polarizing addition to drinks with people either going crazy over the boba trend or despising their different chewy texture. Cha for Tea is located at 5720 E 7th St.
For those who like their frozen drinks with a boozy zing, an adult-only option is being served up at Agave’s Kitchen and Tequila in Downtown Long Beach. One of their margaritas, la flaca organica, is made with casa noble crystal organic specialty tequila, citrus and agave nectar. Sipping on this smooth and low calorie creation will remind you of your last Mexican vacation under a palm tree in the heat of the summer sun. More exotic options include the tequila hibiscus sour and drinks infused with jalapeño and cucumber. Agave’s features a lounge and musical entertainment on the weekends but one of its most popular days is Taco Tuesday. Carne asada, chicken, or carnitas tacos come cheap at a buck a pop and during happy hour from 5-10 p.m. premium tequila margaritas are $5 and select beers are $4. Agave’s is located at 200 Pine Ave.
Italian ice tastes similar to fruity sorbets and is created with water, fruit, juice or concentrate and sweetener. The lighter, fruiter flavor makes it more refreshing than ice cream which is why it is a popular choice at the Old McDonald’s Farmers Market every Sunday from 8:30AM to 3PM. South bay Italian Ice is a distributor of Repecci’s Italian ice which is dairy free, fat free and cholesterol free but still maintains a creaminess that belies its healthiness. Various flavors, including the most popular cherry and blue raspberry, can be found at the farmers market every week but the company also caters fundraising, sporting and special events around Long Beach. This Italian ice is a cool treat to enjoy while shopping for your fill of locally produced fruits and vegetables for the week. 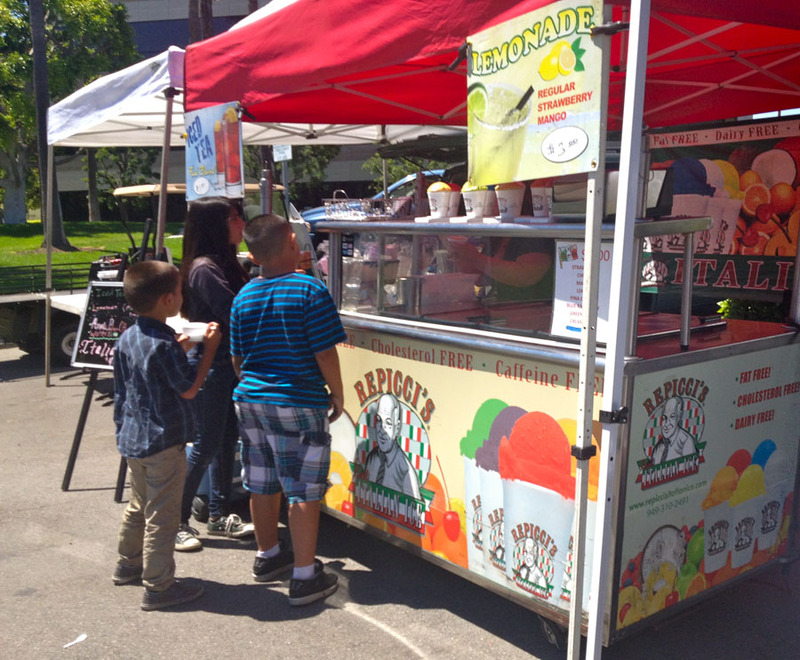 South Bay Italian Ice is located inside the Sunday farmers market at 5000 E. Spring St.